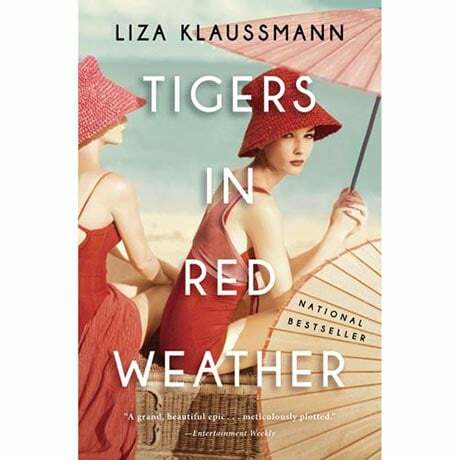 The author is Liza Klaussmann and I found the book fascinating. Here's what Bas Bleu says about it. When this riveting novel opens, best friends and (female) cousins Nick and Helena are celebrating the end of World War II and preparing to reunite with their husbands. But as the pages turn and the years pass, a sense of foreboding begins to seep through the cracks of their tidy lives. Children are born, beauty fades, and marriages grow brittle. Through it all, Nick and Helena always come together again at Tiger House, their family's vacation home on Martha's Vineyard. But during the summer of 1959, their children make a gruesome discovery that will shatter the family's increasingly fragile bonds. My favorite thing about the book? The story is told from each of the main characters' perspective. At first you read Nick's version of the events, then Helena's, Hughes', Daisy's and last of all, Ed's. As the same events are told from different viewpoints, more insight is gained. This sounds good, I like the idea of reading different character's perspectives. I'll have to add this one to my never-ending list of stuff i want to read! This does sound so good, I'll be putting this on my book wish list!